Get some historical perspective at Plaza de Mayo and San Telmo. Your cultural itinerary includes sights like Puerto Madero and Parque 3 de Febrero. There's much more to do: take a stroll through Palermo, don't miss a visit to Recoleta Cemetery, and explore the world behind art at Museum of Latin American Art of Buenos Aires. To find more things to do, where to stay, and more tourist information, use the Buenos Aires trip builder website . Ubud, Indonesia to Buenos Aires is an approximately 29-hour combination of taxi and flight. Due to the time zone difference, you'll gain 11 hours traveling from Ubud to Buenos Aires. Traveling from Ubud in September, things will get cooler in Buenos Aires: highs are around 20°C and lows about 13°C. Finish your sightseeing early on the 12th (Wed) to allow enough time to travel to Porto de Galinhas. Start off your visit on the 13th (Thu): kick back and relax at Muro Alto Beach. 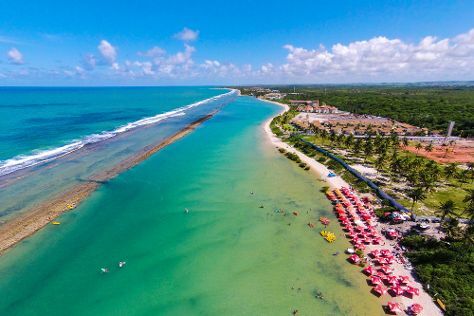 Here are some ideas for day two: see the vivid underwater world at Natural Pools of Porto de Galinhas and then kick back and relax at Vila de Porto de Galinhas Beach. To find photos, reviews, ratings, and tourist information, read Porto de Galinhas day trip app . Traveling by combination of flight and shuttle from Buenos Aires to Porto de Galinhas takes 9.5 hours. Alternatively, you can do a combination of flight and bus; or drive. Plan for somewhat warmer temperatures traveling from Buenos Aires in September, with highs in Porto de Galinhas at 32°C and lows at 26°C. Finish your sightseeing early on the 15th (Sat) so you can travel to Fernando de Noronha. Your inner history buff will appreciate Capela de Sao Pedro and Fort of Nossa Senhora da Conceicao. You'll enjoy a bit of beach vacationing at Praia do Sueste and Praia do Cachorro. There's much more to do: enjoy the sand and surf at Baia do Sancho, stroll through Enseada da Caieira, see the interesting displays at Projeto TAMAR Fernando de Noronha - Patrocínio PETROBRAS, and take an in-depth tour of Fernando de Noronha Memorial. To see ratings, more things to do, photos, and other tourist information, read Fernando de Noronha sightseeing planner. Traveling by combination of shuttle and flight from Porto de Galinhas to Fernando de Noronha takes 3.5 hours. Traveling from Porto de Galinhas to Fernando de Noronha, you'll lose 1 hour due to the time zone difference. 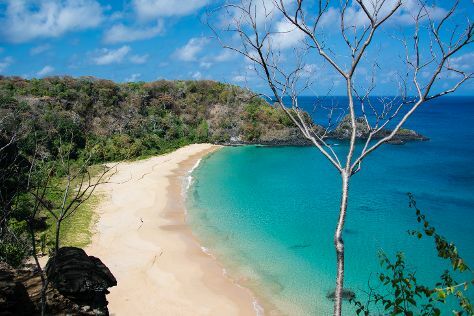 In September, daytime highs in Fernando de Noronha are 34°C, while nighttime lows are 28°C. Cap off your sightseeing on the 21st (Fri) early enough to travel to Sao Paulo. Start off your visit on the 21st (Fri): shop like a local with Paulista Avenue. To see maps and tourist information, you can read our Sao Paulo trip builder site . Traveling by flight from Fernando de Noronha to Sao Paulo takes 7 hours. You'll gain 1 hour traveling from Fernando de Noronha to Sao Paulo due to the time zone difference. Prepare for a bit cooler weather when traveling from Fernando de Noronha in September: high temperatures in Sao Paulo hover around 30°C and lows are around 18°C. Wrap up your sightseeing on the 23rd (Sun) early enough to travel to Rio de Janeiro. Get some historical perspective at Parque Lage and The Metropolitan Cathedral of Saint Sebastian. Relax by the water at Praia de Ipanema and Pedra do Arpoador. There's still lots to do: enjoy the sand and surf at Copacabana Beach, enjoy breathtaking views from Mirante Dona Marta, explore the world behind art at Centro Cultural Banco do Brasil - CCBB Rio de Janeiro, and admire all the interesting features of Maracanã. To see reviews, other places to visit, ratings, and more tourist information, read our Rio de Janeiro day trip planner . You can fly from Sao Paulo to Rio de Janeiro in 1.5 hours. Other options are to do a combination of bus and flight; or drive. 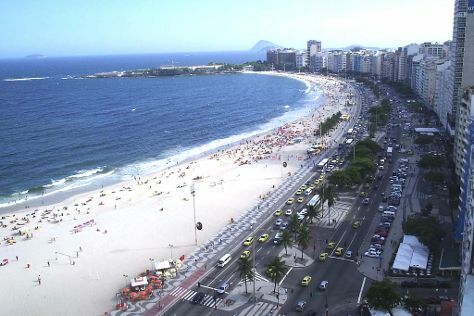 Traveling from Sao Paulo in September, expect somewhat warmer with lows of 23°C in Rio de Janeiro. Finish your sightseeing early on the 27th (Thu) to allow enough time to travel to Machu Picchu. Kick off your visit on the 28th (Fri): delve into the distant past at Santuario Historico de Machu Picchu. Keep things going the next day: see the interesting displays at Museo de Sitio Manuel Chavez Ballon and then delve into the distant past at Intipuncu. For reviews, where to stay, other places to visit, and more tourist information, refer to the Machu Picchu trip planning tool . You can do a combination of flight, bus, and train from Rio de Janeiro to Machu Picchu in 14.5 hours. Alternatively, you can do a combination of flight and car; or drive. Traveling from Rio de Janeiro to Machu Picchu, you'll gain 2 hours due to the time zone difference. Cap off your sightseeing on the 29th (Sat) early enough to travel to Cusco. Deepen your sense of the past at sights like Sacsayhuaman and San Blas. Your cultural itinerary includes sights like Plaza de Armas and Choquequirao Archeological Park. And it doesn't end there: admire the striking features of Centro Historico De Cusco, explore the ancient world of Pinkuylluna Mountain Granaries, contemplate in the serene atmosphere at Qorikancha, and look for gifts at Xapiri. For maps, more things to do, ratings, and more tourist information, refer to the Cusco tour planner. Do a combination of train and bus from Machu Picchu to Cusco in 3 hours. Alternatively, you can drive; or take a bus. Expect a daytime high around 25°C in September, and nighttime lows around 5°C. Wrap up your sightseeing on the 3rd (Wed) to allow time to travel back home.